Prime Minister of Trinidad and Tobago Dr Keith Rowley yesterday warned against overplaying small immigration issues and added that Caricom heads had agreed that in the area of free movement of nationals, the issue of security should remain with the receiving country. Speaking outside of the 37th heads of government meeting at the Pegasus Hotel, which ended yesterday, the Prime Minister urged his counterparts to ensure that their nations understand the importance of being part of Caricom. Rowley, who took the Caribbean Single Market and Economy (CSME) to the agenda of the meeting, dismissed suggestions that his country has been unfairly treating Caribbean nationals who attempt to enter. “I think our position is that the determination of security is a matter for the…state…,” the Prime Minister told reporters while adding that the protocol will be adopted with the understanding that there are some reservations and these will remain with the receiving country. 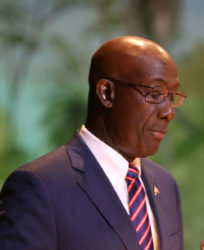 Rowley said he was “very satisfied” with the talks as there is not only enthusiasm among the heads but an acknowledgement that it is long past the time for the matter to be on the table and that they should move towards the advancement of free trade, capital and business among the countries. “In the absence of progress in this area my concern has been and continues to be that there are negative developments which could damage, very severely, our potential as small trading nations and damage the potential for growth as held out by our countries, operating as a larger unit,” the Prime Minister said. He was referring to Jamaican citizens who have voiced complaints about the treatment meted out by his country’s immigration authorities and which later prompted Kingston’s private sector to call for a boycott of Trinidadian products. 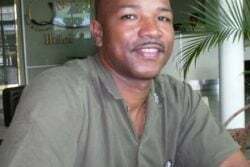 He disagreed that there are complaints from “many Jamaicans” about the way they are treated by Trinidadian immigration officers, pointing out that Jamaica has over two million people and that if there are complaints they will be addressed. However, what is not going to be encouraged is persons using the complaints as a basis for fracture in the region. 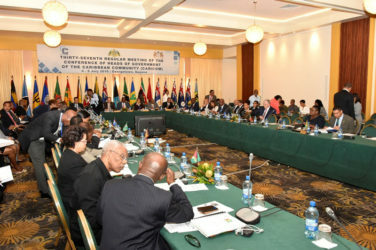 According to the Jamaica Gleaner newspaper, a Caricom report, distributed to leaders during the meeting, strongly condemned several member states, which it suggested deliberately ignore rules and court decisions to facilitate free movement, a guaranteed right under community laws. 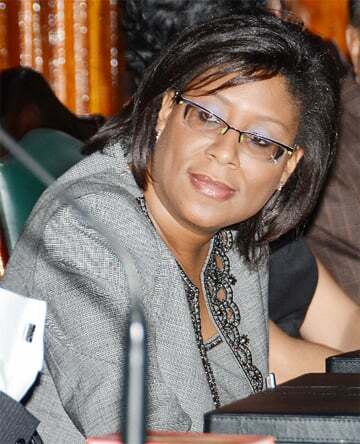 The report, according to the newspaper, said that many of the states which have denied nationals entry have failed to submit the information to the Joint Regional Communication Centre and it also listed the 12 Jamaicans denied entry to Trinidad. Meanwhile, Rowley also disclosed that the heads of government spent a considerable amount of time going over the ambiguities which resulted in the reporting issues of immigration officers on the refusal of persons to enter. He said the “glib” reference to Shanique Myrie was also discussed at length. In 2011, Jamaican Myrie successfully sued the Barbados government over her treatment by the country’s immigration authorities. Myrie had said that on March 14 of that year, upon her arrival at the Grantley Adams International Airport, she was sexually assaulted by a female immigration officer, badly treated, and then denied entry to the island. She took the matter to the Caribbean Court of Justice, which ruled in her favour and awarded her damages. And while admitting that the Trinidadian manufacturers have some comparative advantage over their counterparts in the region, which he said was built up over many years of sacrifices, the Prime Minister said it did not mean others cannot access those kinds of advantages and that they also have some advantages that Trinidad does not have. “But if we are talking about Caricom being a single market and that we are moving towards this free trade, free movement of capital… We cannot be distracted by who is getting more and who is getting less. We simply have to work on regimes of fairness and working institutions, not the least of which is the Caribbean Court of Justice,” the Prime Minister said. He said too that very few Caricom countries can accept that their home market is big enough to generate the limit of their business ambition. But if they view the region as the market of each other, then business can grow within the larger market and acceptable institutions would have to be put in place to ensure that they can expand their business and trade freely among each other. Turning to those who believe their countries are not getting a fair chance in Caricom and may want to encourage their governments to leave the grouping, the Prime Minister said, “Better informed people have done that… And we are not going to encourage anybody to leave the union.” Rowley was referring to the recent referendum vote by citizens of the United Kingdom to leave the European Union. He said the Caricom grouping has a lot of potential for good, in the quest of which there will be challenges along the way, but leaders would have to lead by emphasizing the good and removing the impediments. In his inaugural speech on Monday at the opening of the meeting, the Prime Minister reminded counterparts that leadership is not always about popularity but rather about leading and making tough decisions. Jamaican Prime Minister Andrew Holness, in a brief comment, said that the meetings have been very useful and he believes the region has been making progress on very important issues. For Jamaica, the important matters are free movement of labour and issues to do with regional and national security. Meanwhile, Dr Rowley and Suriname’s President Desi Bouterse held bilateral talks on the sidelines of the meeting, and according to the Trinidadian Prime Minister they discussed the possibility for collaboration on hydrocarbons. Importantly, among the discussions, was the potential for Suriname’s wood products being processed for external markets. Bouterse raised the issue of the difficulties experienced in getting Suriname’s products into the Trinidad market, while his country has welcomed products from Trinidad. The neighbouring country complained of monetary barriers and Rowley said they would have to examine the issue to ensure that such barriers are not unnecessarily impeding trade among countries. “We have undertaken to ensure that the spirt of free trade between us is maintained,” the Prime Minister said. 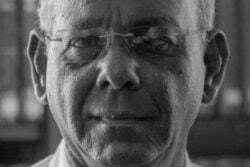 The talks have led to a commitment by Suriname to send a technical team to Trinidad within two weeks to further discuss the development and to work towards developing a business plan in some of the areas. A delegation from Trinidad and Tobago will also visit Suriname at a later stage. Rowley said too that on Monday he met with President Michelle Bachelet of Chile and there will be increased trade with that country for Trinidad and Tobago products as they are very keen to open up their markets in Chile.